I know I'm always harping on about art and travel, because it’s how I prefer to make my way in the world. Alas, there are very real challenges to making art WHILE traveling. 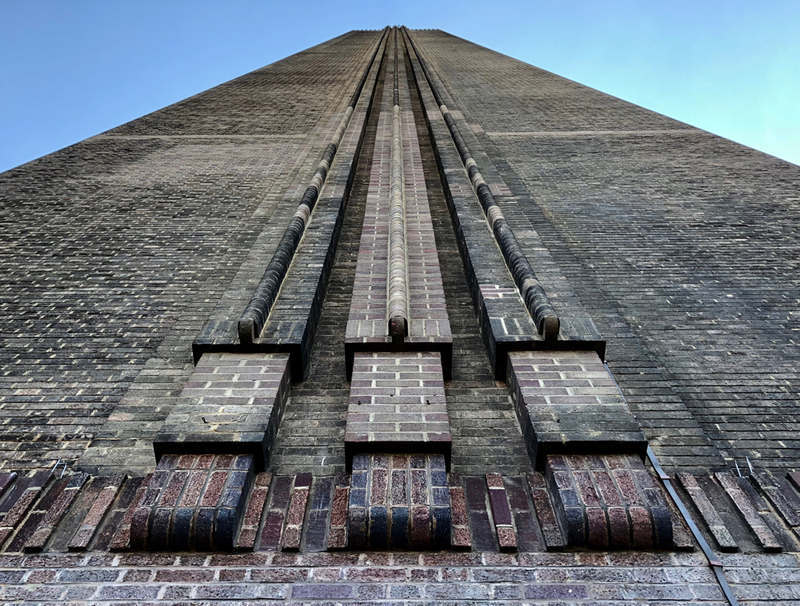 The beautiful brickwork detailing on the Tate Modern Chimney. Mostly, when in new lands, I become a sponge. Everything stimulates my senses, and my gaze is never still. I am collecting imagery, palettes, light and shadow and banking inspiration for possible future paintings or projects. Just last week in London I went to the Tate Britain, the Tate Modern, V and A Museum, The Serpentine Gallery, the Somerset House Design Biennale, The Dennis Severs House near Spitalfields. I saw plays at the National Gallery, The Globe Theater for Shakespeare and The Victoria Palace Theater to see Hamilton! And those are just the highlights. Another York paving stone masterpiece in Camden Town, London. I fell in love with the York paving stones beneath my feet while walking unassuming neighborhoods, admired the trees (again) in Hampstead Heath, and marveled at the ironwork architecture in Paddington Station like never before. 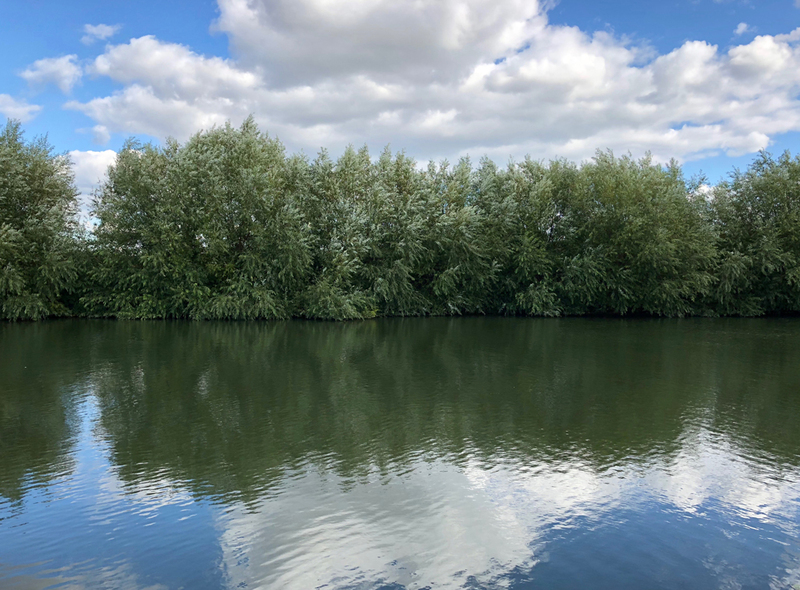 I walked along the Thames in Oxfordshire, and followed the epic tale of the Norman invasion of 1066 by way of the exquisite copy of the Bayeux Tapestry in the Reading Museum. The exact replica of the Bayeux Tapestry in the Reading Museum, England. But everyday I look at my blank travel journal pages and wistfully imagine them filled with perfect sketches chronicling my daily expeditions and inspirations. And the blank pages stare back. My blank travelogue waiting for visual cues. This is why I love the artist residencies so much - because they give me pause, to slow down, stop and digest the feast of images, colors and shapes. And THEN, I can begin the alchemical transformation of those images into new work that could never be created anywhere else. 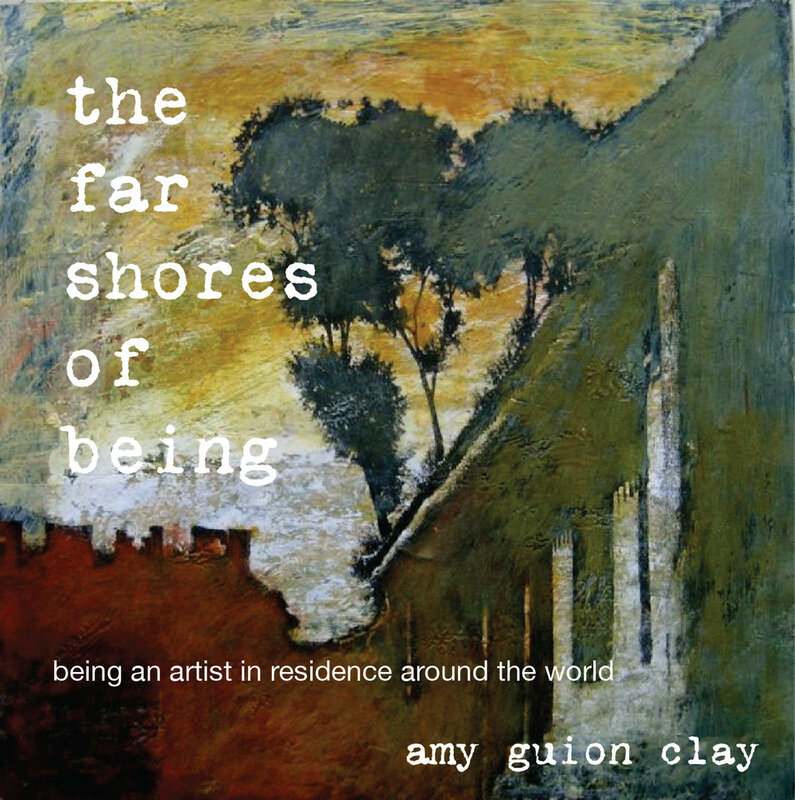 Thus knowing that I will land in Ireland at my residency this coming weekend affords me the luxury of just looking, just being saturated by the world around me without expression, as soon enough the painting will begin. Stay tuned!